After a successful drill preload test, Curiosity was primed to drill for the first time in about a year. Unfortunately, due to a light downlink from the Mars Odyssey spacecraft, we didn't get all the images down needed to safely carry out the drill activity in this weekend's plan. Instead, we'll push the drill activity out until we get the needed images down to help ensure it will complete successfully! Until then the view of the arm preload activity provides tantalizing hints of great things to come. However, just because we couldn't carry out the drill activity as planned, that doesn't mean the team would let the rover sit idle. In fact, quite the opposite. The science operations team immediately started planning backup science activities. The team decided to carry out activities on two contact science targets with MAHLI imaging and APXS chemistry. These targets, dubbed "Rockall" and "Benbecula", will continue to help us characterize the composition and fine-scale textures of the bedrock around our upcoming drill location. These activities will provide valuable geologic context to the drill and help assess the variability of the bedrock in this area. 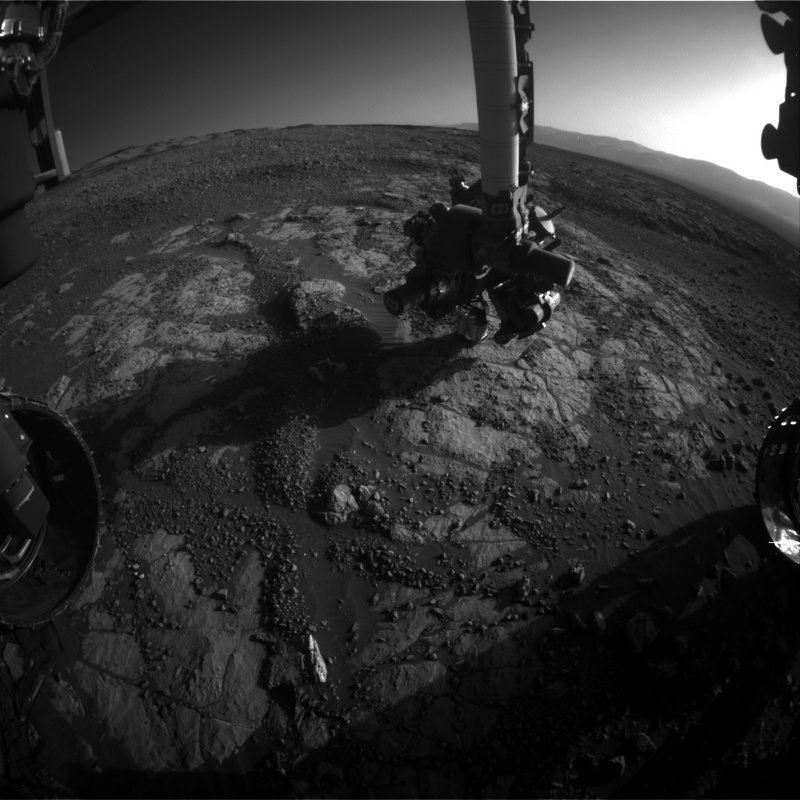 A slew of ChemCam and Mastcam images are also being acquired to further this goal. It won't be long until the other instruments inside the rover body get to sample the fantastic geology of the Vera Rubin Ridge. Stay tuned this coming week for the results of the drill activities. The science team can't wait!